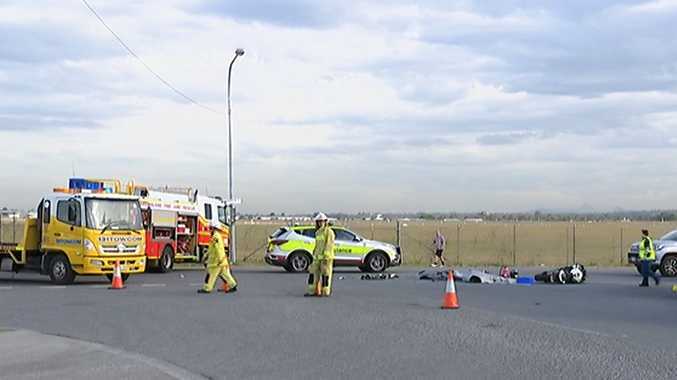 A MOTORCYCLIST has died after colliding with a truck at Archerfield in Brisbane'a south on Wednesday afternoon. Police said the accident happened about 2.45pm at the intersection of Balham and Barton roads. The 47-year-old male rider was declared dead at the scene. Anyone who may have witnessed the crash, or may have relevant dashcam footage, is urged to contact Policelink on 131 444.